Many thanks to everyone who helped with this project! Now we have the money we can restore our wonderful park. Yorkshire Coast Radio attended the South Cliff Community Group coffee morning where the news that South Cliff Gardens had secured the £5M Heritage Lottery Funding was announced. In January 2017 the HLF announced our stage 1 bid was successful. The stage 2 bid will be developed up by a project team including Friends of South Cliff Gardens, Scarborough Borough Council and other interested parties. Victoria Thompson has been appointed by SBC as the HLF Project Officer for the South Cliff Gardens and we have started on stage two of our Heritage Lottery bid to bring new life to our beautiful Gardens. The HLF have earmarked the millions of pounds that we require, so now we need to breathe life into our successful stage one document. Southern Green successfully tendered to be the consultants for Stage 2 of the HLF Parks for People bid. Southern Green will be involved in the development of the bid, and if the bid is successful at Stage 2, they will also oversee the implementation of the scheme. 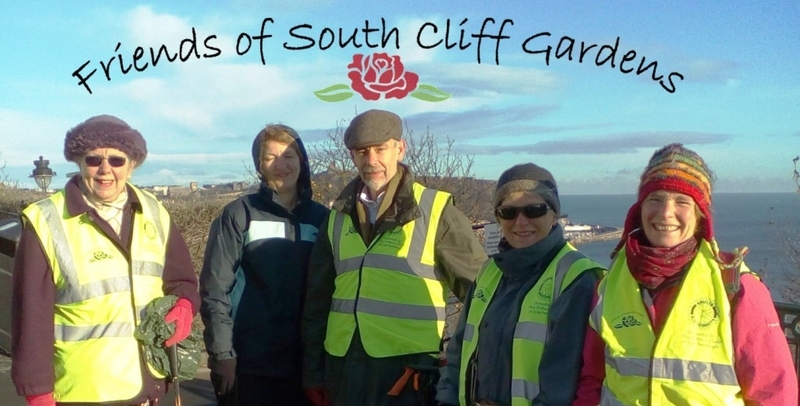 Simon Green has told us that the £4.99 million allocation to South Cliff Gardens is the largest HLF Parks for People award currently in England. Over the last 20 years Southern Green have delivered 30 HLF projects so we feel that we are in safe hands. Topographical surveying is taking place now, and an arborist is surveying the trees. HLF require a review of progress in April 2018 and the Stage 2 bid should be submitted in August 2018 for a decision in December 2018. Start on site September 2019 with completion December 2020 so a long journey ahead!